FFrom the rolling hills of the Eastern Cape to the roaming wildlife of the Kruger National Park, South Africa is an untapped wonderland of unforgettable experiences. Expand your horizons and explore this beautiful land. It’s just a Sho’t Left away! 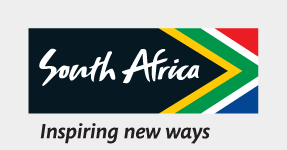 The We Do Tourism campaign is aimed at each and every South African! It is about each of us seeing the value of tourism, understanding how it impacts our lives, and how we can play a role in growing it. This year, South African Tourism approaches Tourism Month under the lens of the I Do Tourism campaign, which seeks to make tourism everyone’s business. Stay for 2 nights in the Junior Suite this Easter weekend and receive breakfast, dinner, a back, neck and shoulder massage, Easter lunch and a river cruise. Easter special is here.Experience the adventure with great mountain views from different landscapes. Valid for selected set departures: 04, 11, 18 & 25 March and 01, 12 & 22 April 2019. High season hotel supplement of R453.00 per person per night applies from: 01 - 16 April 2019. There’s never a better time to explore your backyard and see the wonders of South Africa. Take to the streets and immerse yourself in the energy of inner city living. Regardless if it’s a night out or a day visit, its rhythm will move you. Whether it’s Zulu, Xhosa, Afrikaans or Venda, our 11 official languages and cultures each offer something unique. Explore more to learn how this makes our country extraordinary. Take a leap of faith and dare yourself to experience adrenaline-fuelled activities and adventures in South Africa. Take a walk in South Africa’s backyard and experience wild things. From popular beaches to incredible wetlands, South Africa’s long stretch of pristine coastline is yours to discover.